The joint venture between Safran Aircraft Engines and AFI KLM E&M, announced a year ago, now has an official name: Airfoils Advanced Solutions. Located at the Sars-et-Rosières business park in north of France, near Valenciennes, the new company’s plant will be completed in early 2018, with operations due to kick off late 2018. By the time the Airfoils Advanced Solutions plant reaches cruise speed in 2020, it will have from 200 to 250 employees. Airfoils Advanced Solutions will repair high-pressure compressor blades and variable stator vanes, focusing on the CFM International CFM56 engines powering the Airbus A320 and Boeing 737, GE’s GE90 engines powering the Boeing 777, and the Engine Alliance GP7200 for the Airbus A380 super-jumbo. The new facility will span nearly 15,000 square meters (162,000 sq ft) and will incorporate state-of-the-art equipment while implementing hi-tech metallurgical processes. Airfoils Advanced Solutions will also be active in repair solutions development, including cutting-edge repairs for fleets serviced by parent companies Safran Aircraft Engines and AFI KLM E&M. The founding of this joint venture is a major step forward in our repair capabilities for the high-pressure sections of engines serviced by Safran Aircraft Engines and AFI KLM E&M,” said François Planaud, Executive Vice President, Services & MRO, Safran Aircraft Engines. “It’s also a tremendous opportunity for Safran Aircraft Engines to strengthen our position as a major supplier of engine MRO services. We are also very proud to see that this strategic business line, requiring highly qualified personnel, will be located in our local communities”. Airfoils Advanced Solutions is jointly owned by Safran Aircraft Engines (51%) and AIR FRANCE KLM (49%), who will invest over 20 million euros in the new company. This new joint venture will help the two parent companies bolster their competitiveness, and also reflects the role they play in the global aircraft maintenance market, and in supporting job creation and industry development in their home bases. 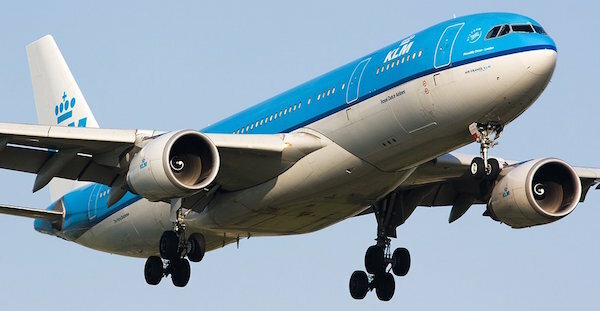 Air France Industries KLM Engineering & Maintenance is an MRO provider with a workforce of over 14,000.